A curious review of a curious book. In terms of the range of references surveyed, it’s actually quite a good book on the prehistory of contemporary transhumanism, especially if you read it as a Rorschach test of Rubin’s own implied bioconservative views — and hence the reader should discount his judgements appropriately. 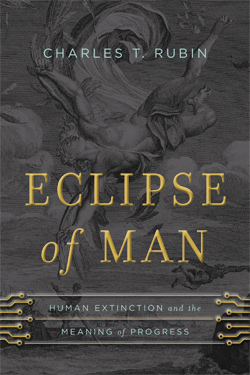 However, the book really offers nothing with regard to how humanity should go forward in the future, except to stick to Rubin’s own largely presupposed bioconservative views. Contrary to Winyard’s review, something explicitly political would have been welcomed from Rubin’s book — even if it would force him to say that he would ban transhumanism from the political arena. Otherwise, the circumspection of Rubin’s critique seems a bit cowardly, or at least coded.